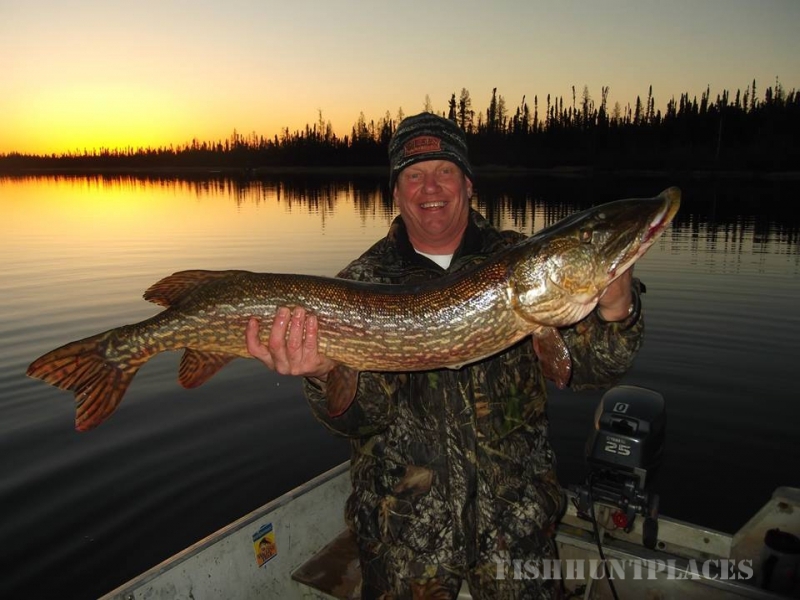 We had a great season in 2015 at our main lodge on Silsby Lake and our outpost camps on High Hill Lake and Cuddle Lake. 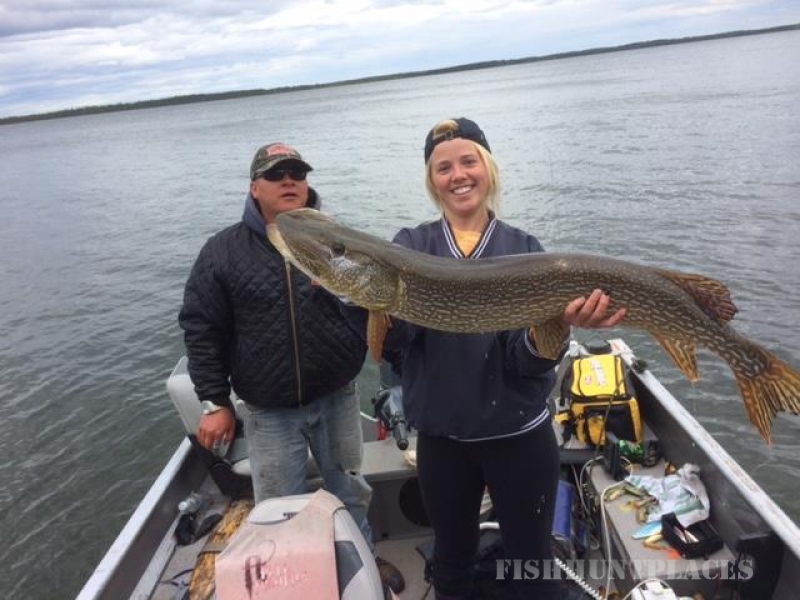 The fishing on Silsby in 2015 was very good throughout the season. 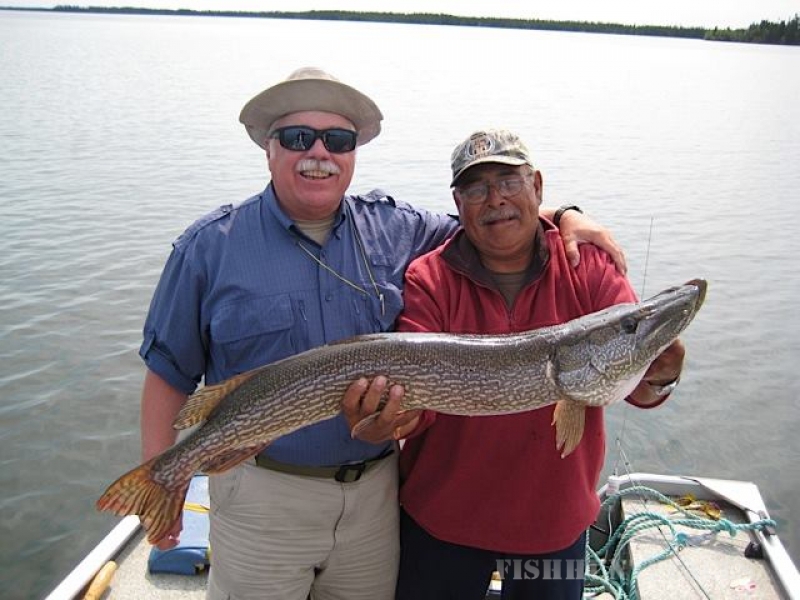 The number of Master Angler Northern (41" or longer) was up 15% from the previous season. 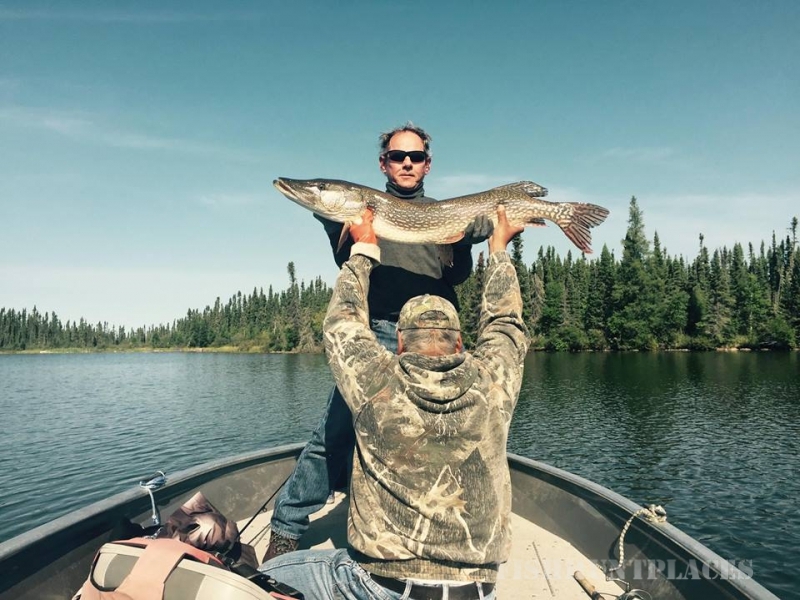 And the Walleye were much bigger and more constistent than in previous years. 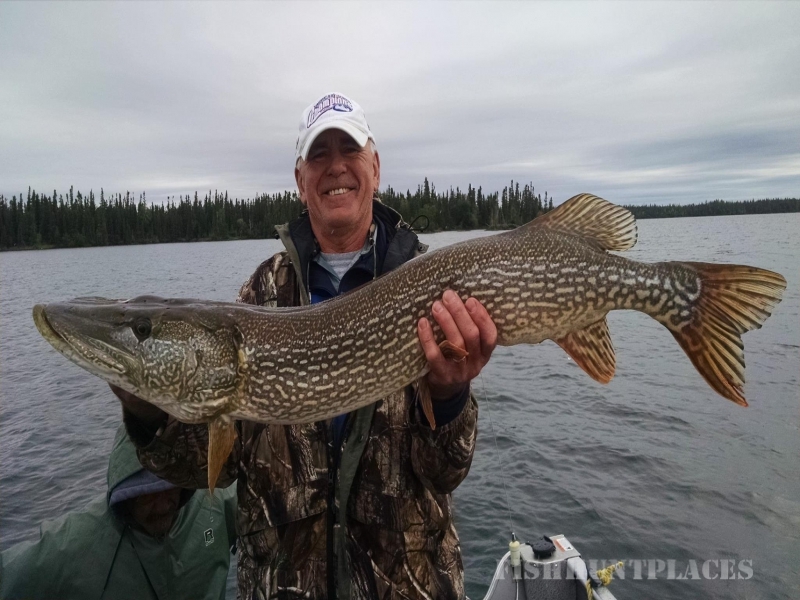 Guests also did very well at the outpost camps with improved amenities and top notch fishing for trophy Pike and Walleye. Thank you, to all our guests in 2015 for making it one of the best seasons ever! A reflection of the succesful 2015 season are the strong early reservations we have for trips in 2016. Please look over the 2016 schedule for Silsby and the outpost camps and CALL TODAY to reserve a preferred date. 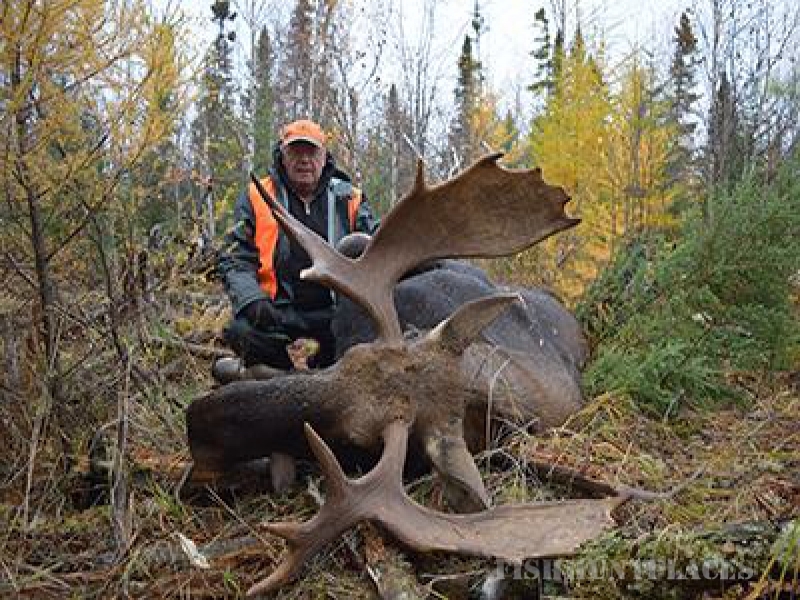 The 2013 Moose hunting season was our best Moose season to date! Moving both seasons back a week sure has made a difference. Both hunts in 2013 were very successful. Overall, we had 12 hunters who took 8 nice bulls. 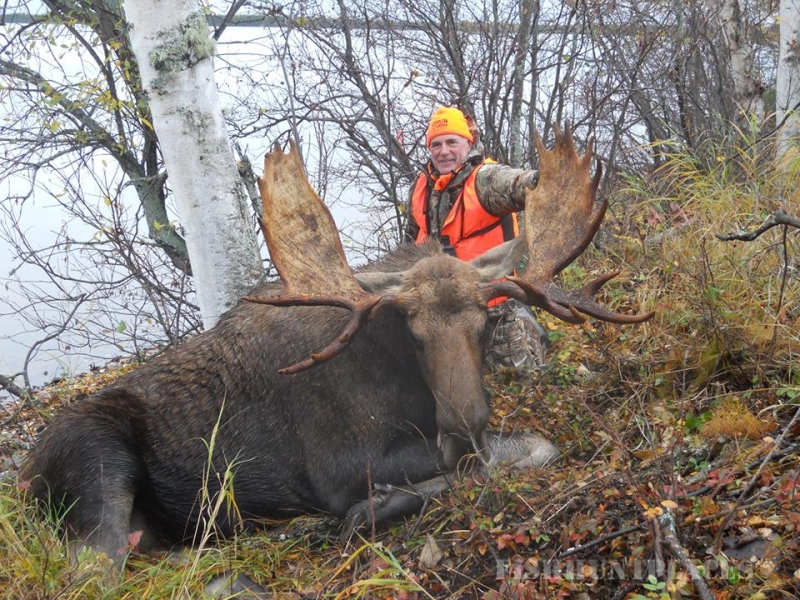 The 4 hunters who did not tag a bull had opportunities, but decided to pass. 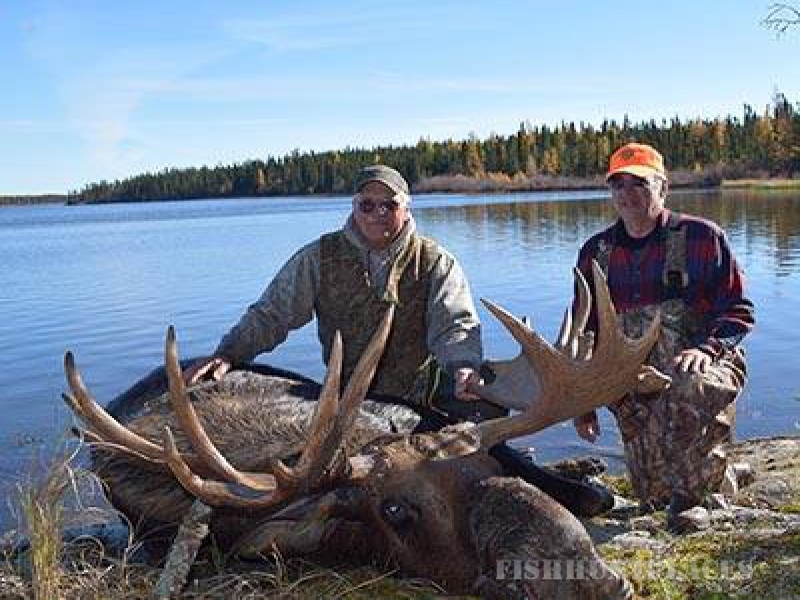 We had three hunters who took huge bulls on two different lakes. 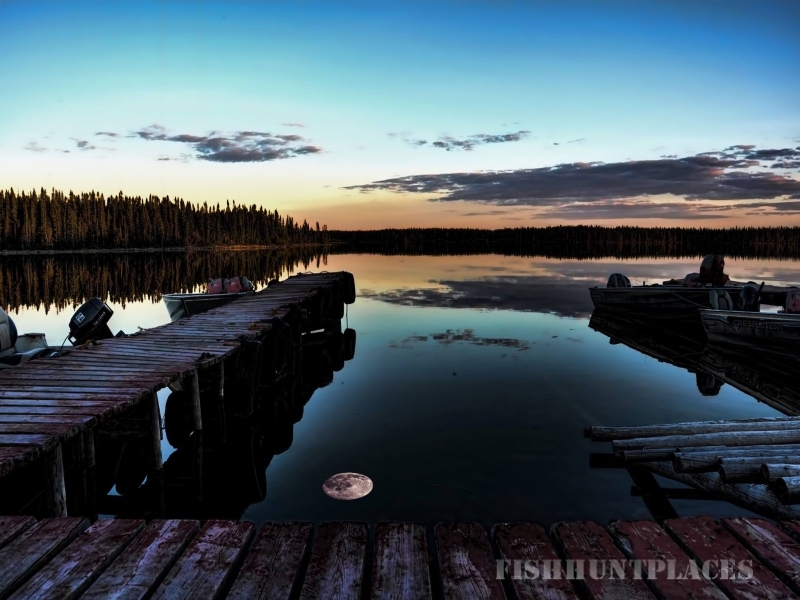 We hunted different lakes over the two seasons and will be expanding our territory even more in 2014. 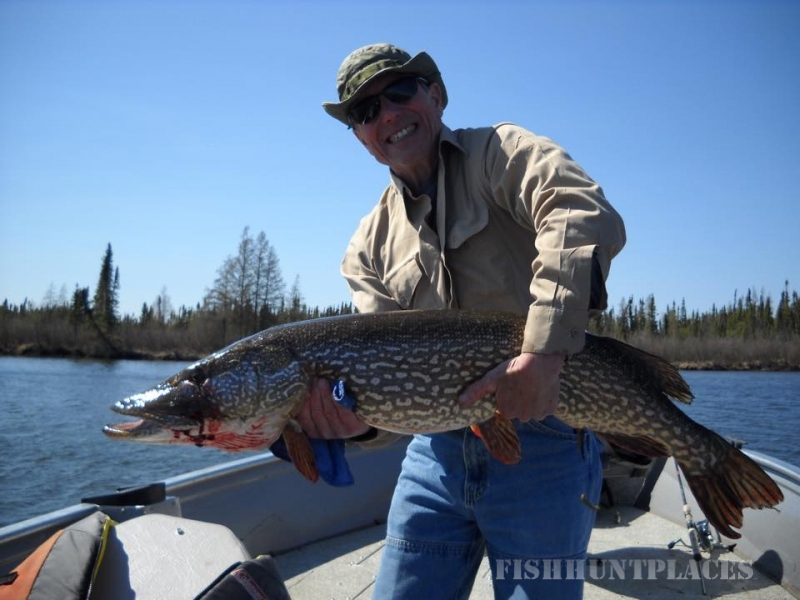 Steve Scheel took this 55 inch bull from Pritchard Lake during the 1st season. The bull green scored 199 pts. B&C gross. It should receive a B&C award after the drying period. The bull was very old with huge palmated brows. 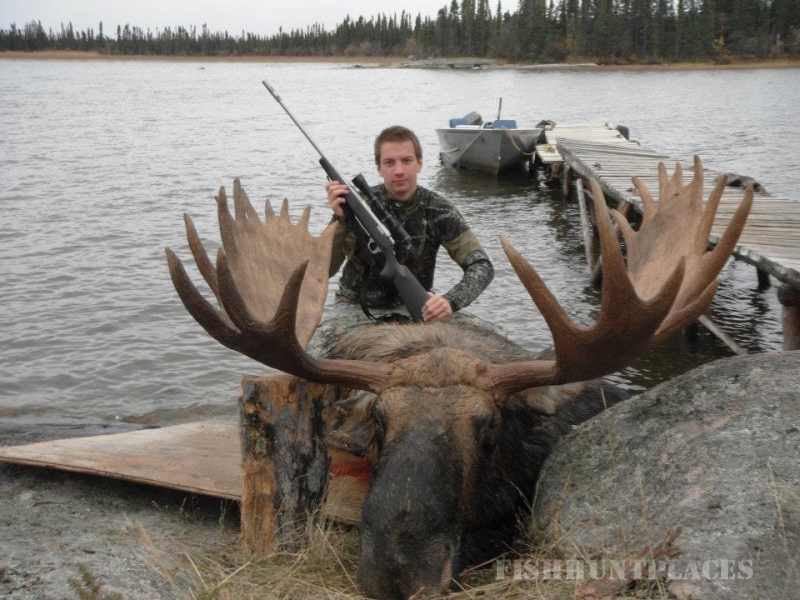 Ross Johnson took this bull during the 2nd hunt of 2013 at Pritchard Lake. 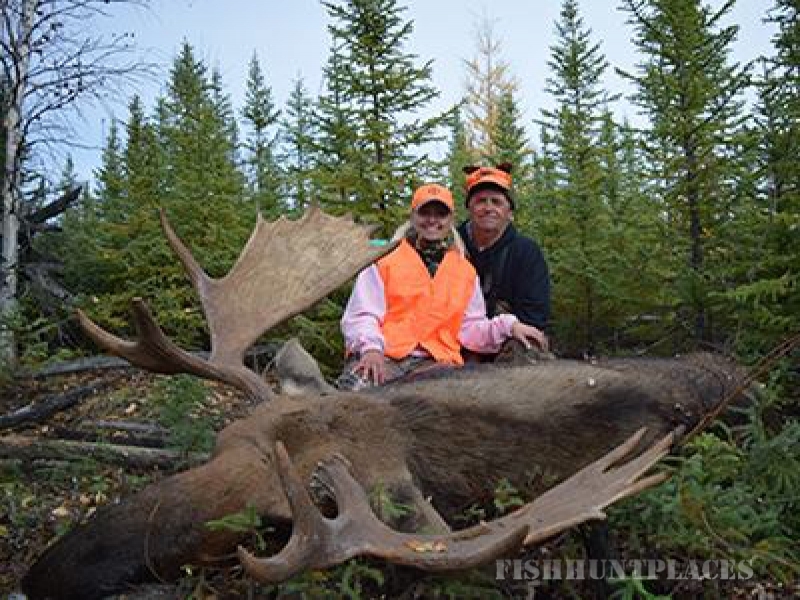 His son, Keith Johnson, got an assist by waving antlers over his head while the guide called him in. 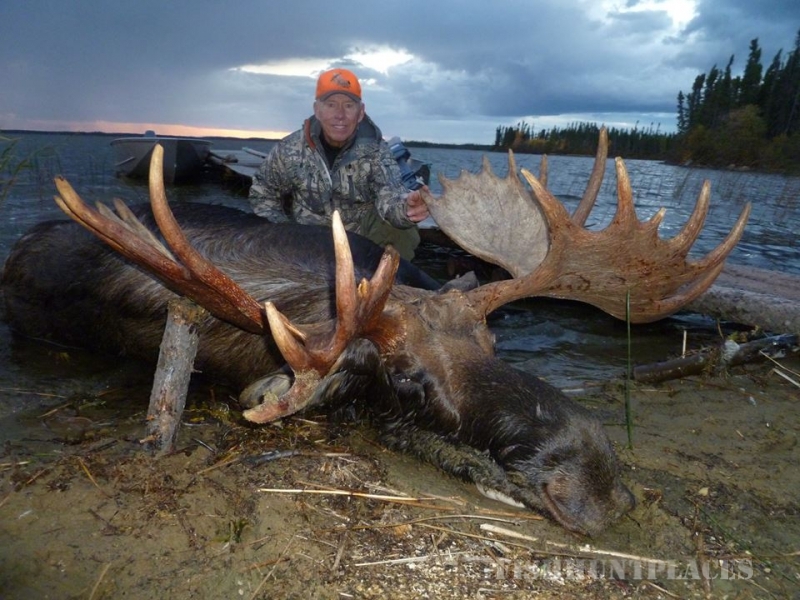 These hunts are heart pounding hunts when the bulls go haywire during the rut. 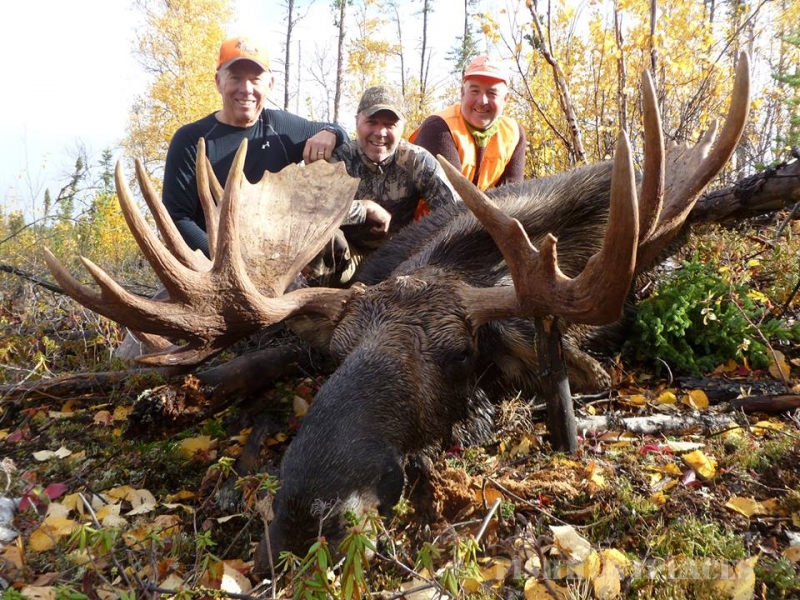 Shaun Miller (center) took this giant bull from Cuddle Lake during the 1st hunt in 2013. 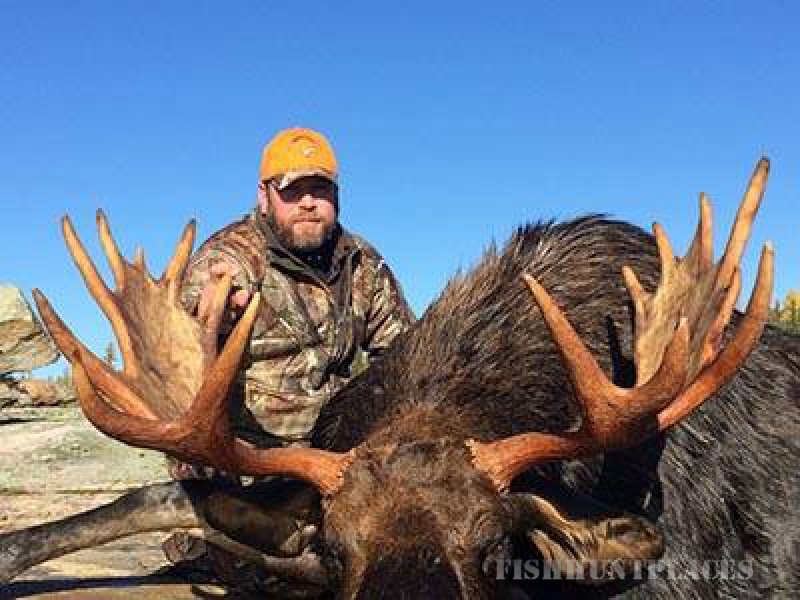 This hunt was a wild adventure spanning two days chasing the same bull. It took five back breaking trips to pack this 1,500 lb. animal out of the woods. All well worth it!! 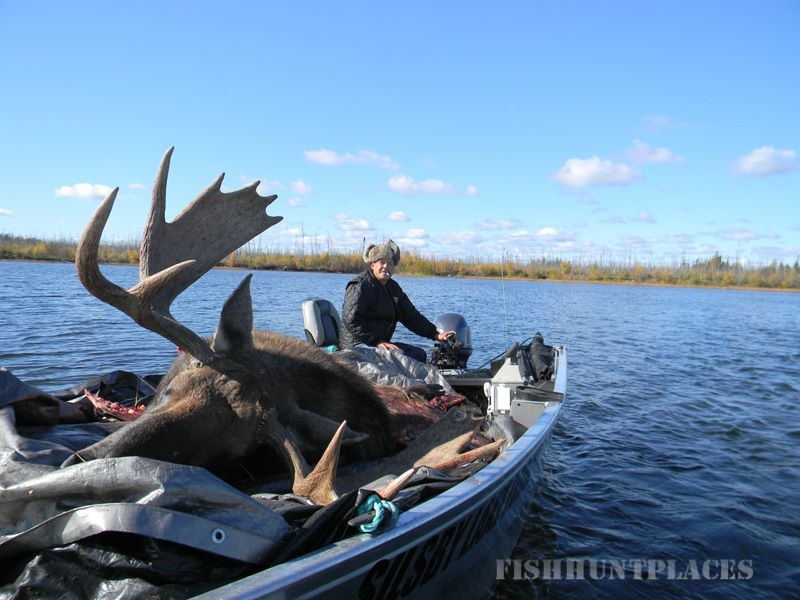 Shane Madsen with nice bull from Silsby Lake during the 1st hunt of 2013. The guide called this bull into 40 yd. range after an hour of heart pounding action. The bull was grunting, thrashing bushes and charging through the trees the whole time before finally confronting what he thought was another bull.